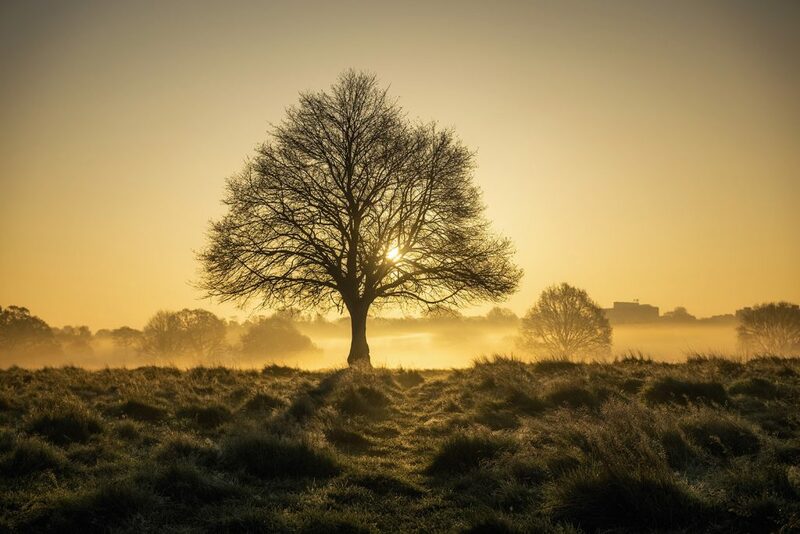 One tree hill, Richmond Park. Photograph by Simon Wilkes. A few months ago I was contacted via Instagram by Cambridgeshire-based artist Mark S. Payne. 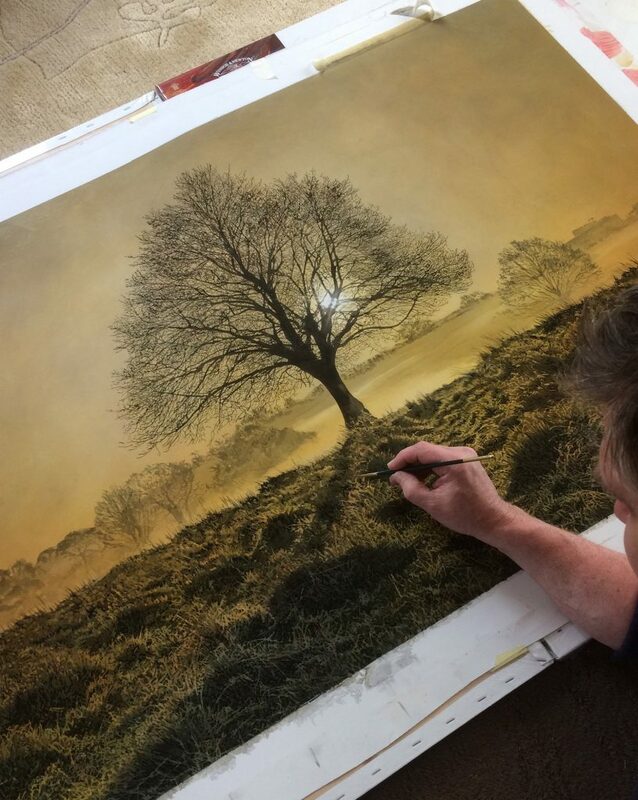 Mark wanted to paint one of my photographs of Richmond Park, a photo called ‘One tree hill’, taken on a chilly, misty morning in April 2017. 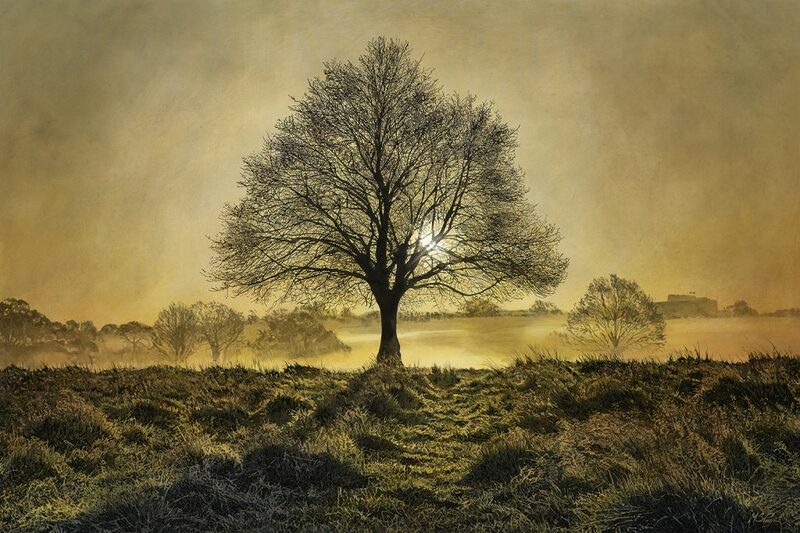 Having looked at Mark’s website I could see he had a real love of the natural world and worked in traditional media, such as ink and oils. I was intrigued to see what he would do with my photograph. Throughout the painting process Mark kept me updated, sending photos of his work in progress. It was truly fascinating to see Mark’s painting come to life over the course of a few weeks. First the inks, then the oils. The accuracy of his painting shows an immense eye for detail and the kind of precision that photographers like me can appreciate. Having my photograph painted by Mark made me realise that in our connected world, traditional skills are just as important as ever. 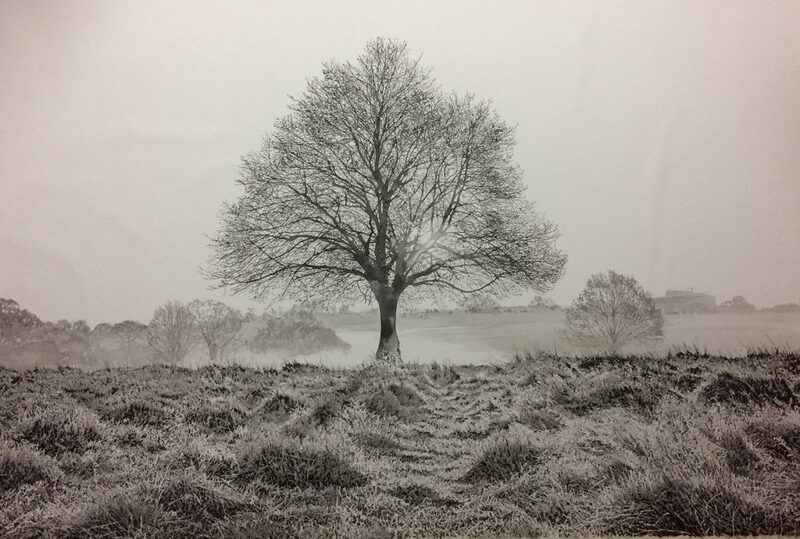 Even as photographers become increasing reliant on digital settings and accessories to help take photographs, the basic techniques needed to capture a beautifully composed photograph remain unchanged since the days of Ansell Adams. The finished painting is both a remarkable reproduction and a unique interpretation of the original. To see my photograph transformed into a vastly different medium has been a fascinating process and a considerable honour. I know Mark is currently hard at work on another painting based on one of my photographs and I can’t wait to see how that one turns out.